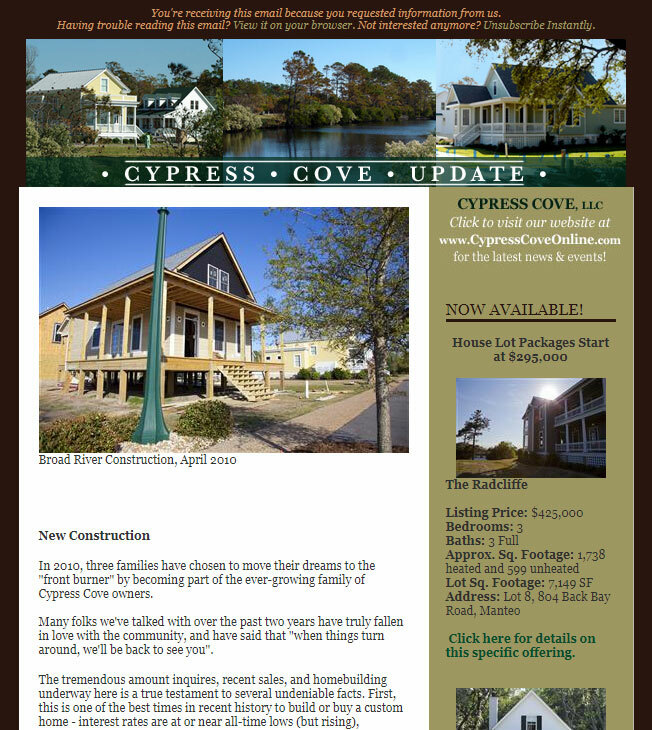 Email newsletter campaign developed for Cypress Cove to help them announce and sell the houses they were building in a new development in Manteo North Carolina. The system allows them to work from a template every month to develop newsletters to send to their subscribers. 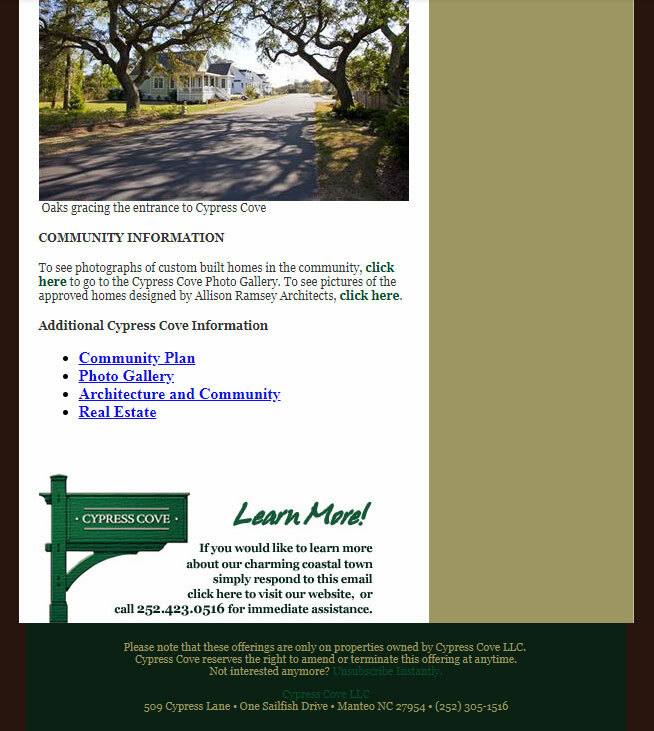 It also comes with robust subscriber list management and reports and statistics to help them keep track of their subscribers and what they are interested in.